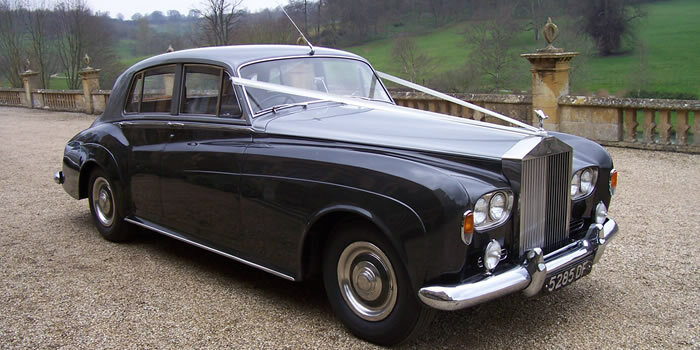 Please contact us elow or call 01452 780 781, if you require any advice or assistance with selecting the perfect wedding cars for your special day. 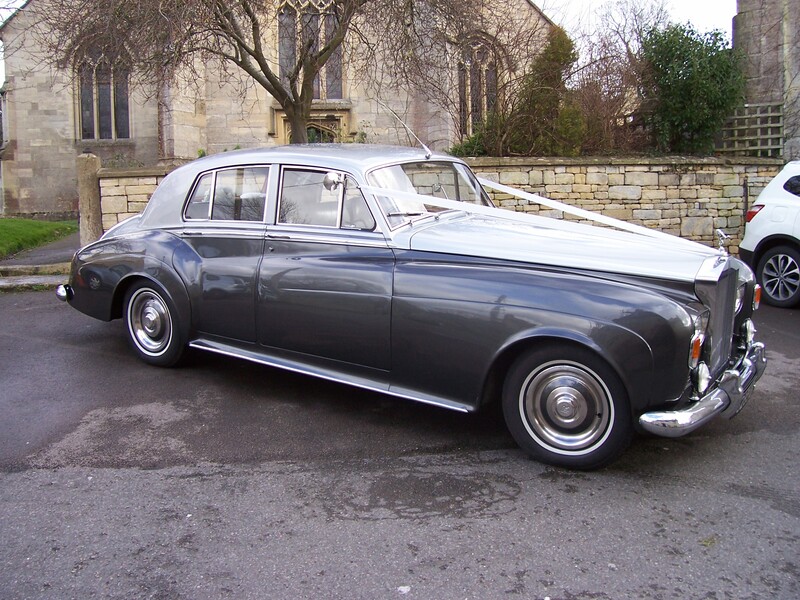 Walter is in a colour called shell over black pearl velspar – silver on the top and a charcoal colour underneath. He is one of the last Silver Clouds made. 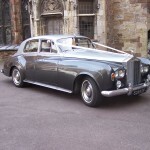 The S2 Bentley and the Rolls Royce Silver Cloud are the same style and colour inside and often are booked as a matching pair. 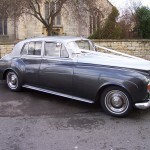 Belated but sincere thanks to you & your driver for all your help for Jess’ wedding. I’ve attached a few photos I thought you might like to see.